Lambert’s Auto Glass is your locally owned and operated auto glass repair and replacement center! 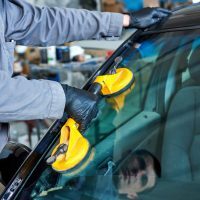 Auto Glass Repair, Auto Glass Replacement,Windshield Repair, Windshield Replacement, Hatchback Replacement, Side Glass Replacement, Mobile Glass Repair. Lambert’s Auto Glass has and only provides the highest rated auto glass services and auto glass products. Do you have a broken windshield or car window? Trust Lambert’s Auto Glass–Cloquet, Minnesota’s experts with your auto glass repair and replacement needs. We come to you! For an auto glass quote or to schedule service, call, click or fax us today! You deserve four star services - Lambert's Auto Glass is your best choice! Our goal is to provide you with the best solutions to repair or replace your glass without you having to go through the hassle and frustration that may go with it. We realize that having glass break can be a difficult situation, but finding someone to fix it promptly can be extremely difficult as well. Make Lambert’s Auto Glass your first choice, Call 218-878-1000 today! "If you can't get to us, We'll come to you!" Lambert's Auto Glass has the following services available! We can handle any insurance related claim! 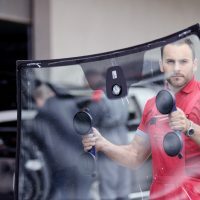 Auto Glass Repair, Auto Glass Replacement, Windshield Repair, Windshield Replacement, Hatchback Replacement, Side Glass Replacement, Mobile Glass Repair, Mobile Glass Replacement, Truck Windshield Repair, Truck Windshield Replacement, Replacement Window Quotes, Commercial Vehicle Glass Repair and Commercial Vehicle Glass Replacement Services. Locally owned and operated; Lambert’s Auto Glass provides service and mobile service to Duluth, Proctor, Floodwood, Moose Lake, Esko, Cloquet, Carlton, Scanlon, Barnum, Cromwell, Saginaw, MN and so many more areas! No question in my mind that I’d rate Lambert’s Auto Glass any less than an A+. They were fast, courteous, and well experienced in their industry. I would recommend this company to anyone! !